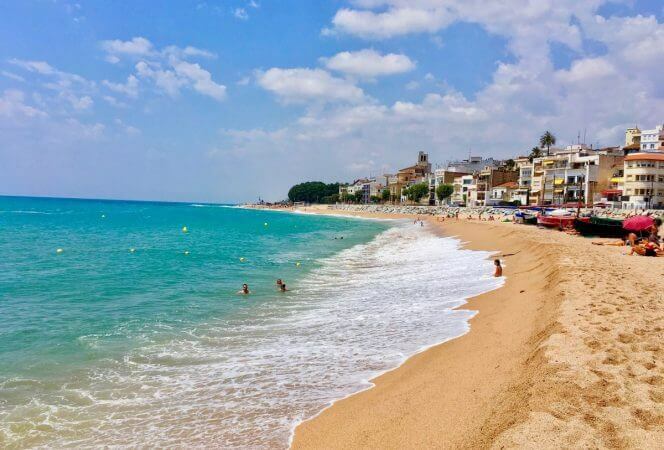 If you are planning to travel to France with your family, your first thought might be of Paris or Provence, but you might want to consider a journey to the southwest of the country and the Dordogne region. 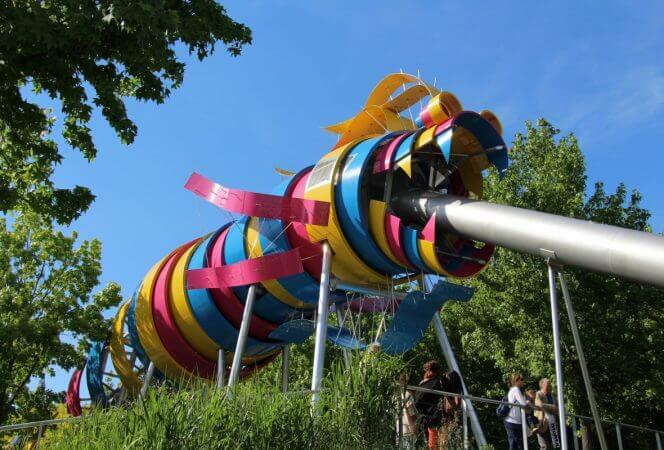 The area offers a wonderful variety of experiences for families from prehistoric cave paintings and medieval castles, to stunning gardens and breathtaking landscapes. The villages are charming, the locals are welcoming, and the food is incredible. With all the region has to offer, visitors to the Dordogne will find themselves wishing their vacations would never end. The Grotte de Fonte de Gaume at Les Eyzies-de-Tayac is the last French prehistoric cave with polychrome paintings still open for public viewing. Each day approximately fifty visitors are allowed to enter, so it is important to arrive early as reservations are not accepted. Tour groups are small so be mindful of this when taking your children. Make this a priority if you are a fan of art history or history in general. It’s not everyday you have the chance to see 15,000 year old cave paintings. I have seen some splendid gardens in my travels, but the Jardins du Marqueyssac are quite remarkable. 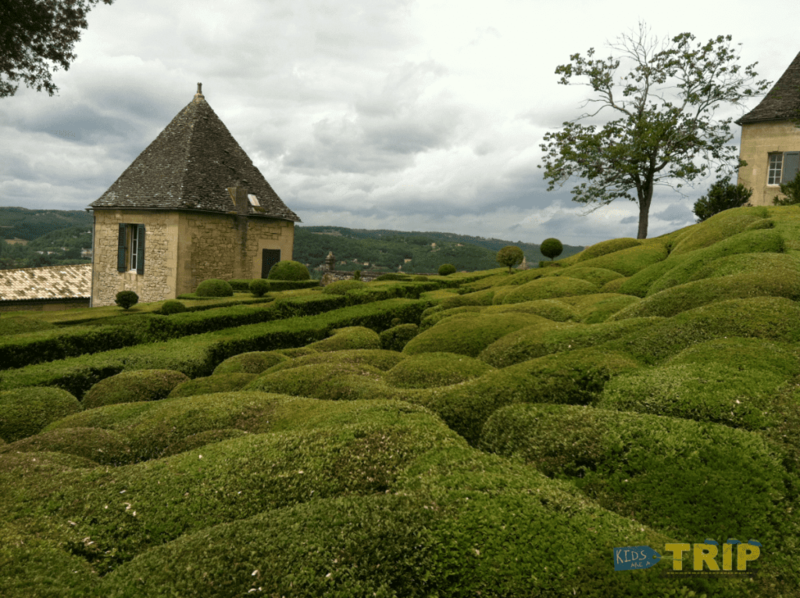 Perched on a cliff overlooking the Dordogne valley, these sculptured gardens feature over 150,000 boxwoods on a shaded six kilometer walking path. Our children enjoyed running through the maze, exploring the gardens, climbing on rocks, and hiding among the bushes. There were even peacocks roaming the property, which of course, our kids loved. 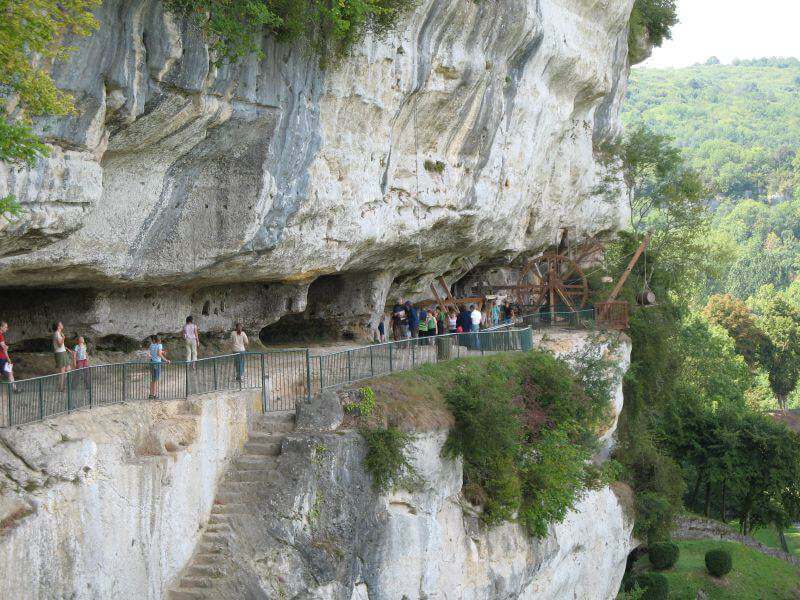 The walking paths lead to the Belvédère which has a 630 foot balcony overlooking the Dordogne river below. We spent half a day at the gardens, because the children wanted play “hide and seek” the entire time we were there. It was a beautiful, fun, and relaxing way to spend an afternoon. 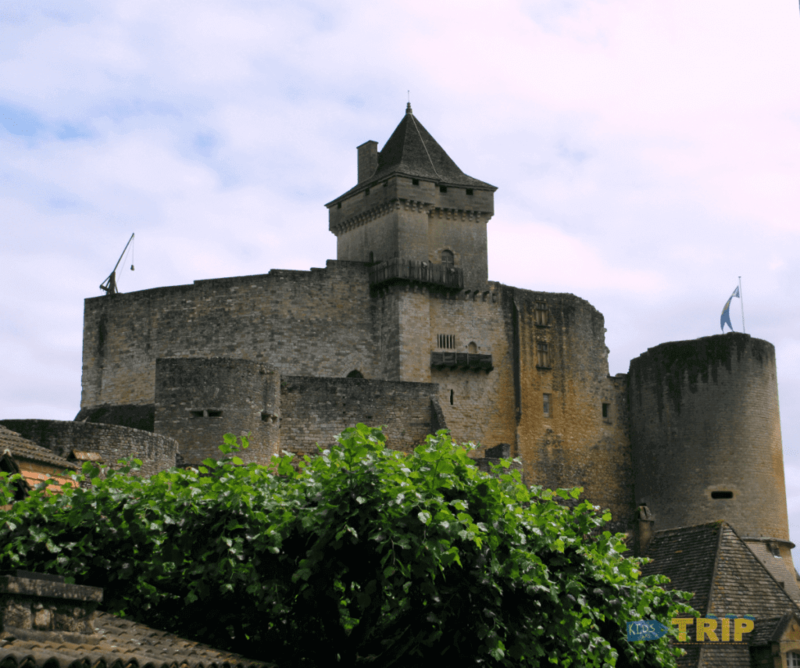 If your kids love castles, they will love the Chateau de Castelnaud (check out our other favorite castles in Europe HERE). Originally built in the 12th century, the castle figured prominently in The Hundred Years War between England and France, as well as the Wars of Religion in the 16th century, but by the French Revolution, the castle had been abandoned and fell into disrepair. 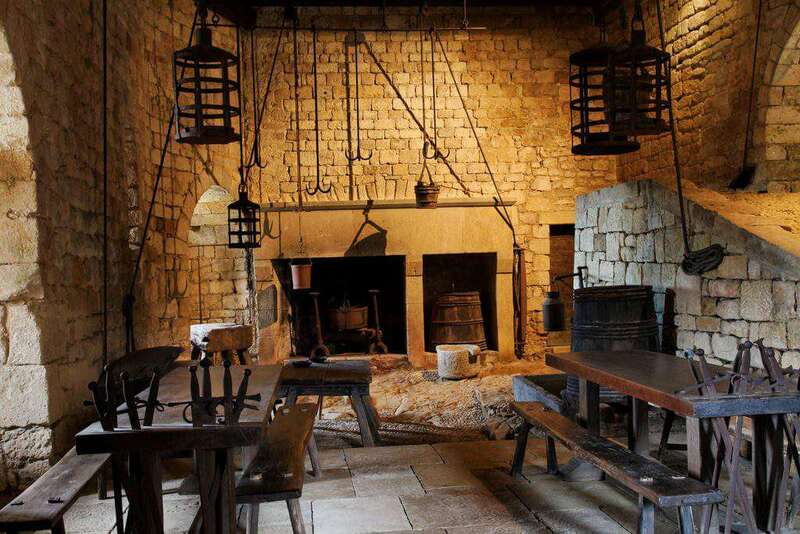 In the mid-1900s renovation on the castle began and the grounds now house an amazing collection of medieval weapons and armor as well as full size trebuchets which will fascinate adults and children alike. During the summer the chateau has fencing displays, trebuchet launchings, and other demonstrations. The Grotte de Rouffinac is over 8 kilometers long and is one of the largest painted caves in Europe. In this cave, art was made by carving and engraving into the limestone walls, and there are over 250 drawings and paintings created 10-15,000 years ago. Visitors ride an electric train and are taken through the half mile cave to see the bison, horses, and mammoth paintings which cover the ceiling. Expect to be taken deep into the heart of the cave where it will be cold and dark, but if your kids can handle it, the experience will be rewarding for everyone. This enormous prehistoric town consists of a hundred rock dwellings spread out over five levels. The shelter was built into the side of a cliff over 50,000 years ago. Children will love exploring the homes and workshops of people from the past. There are interactive booklets for the children making their visit educational as well as fun. There are information boards throughout explaining the exhibit in English and French. Wear sturdy shoes because the ground is uneven and you have to hike a bit to reach the site. 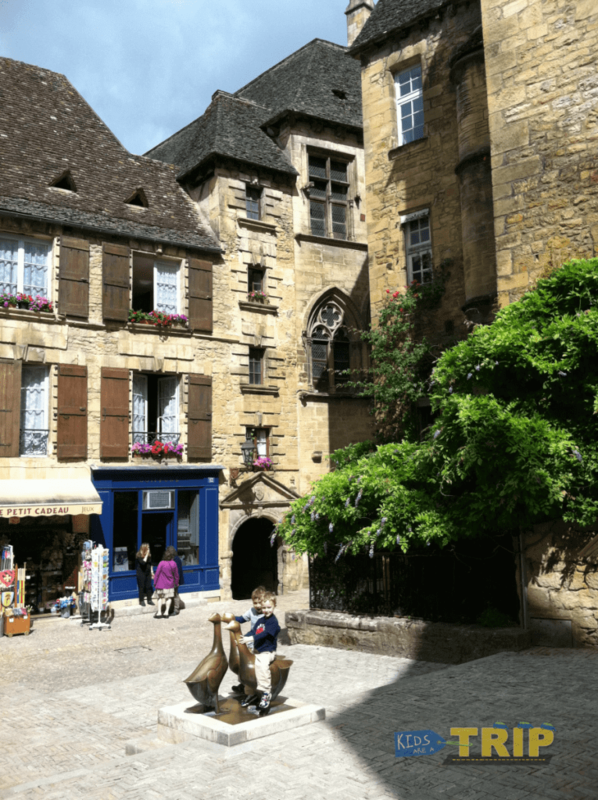 Our favorite part of visiting Sarlat was simply strolling through the maze of streets in the old town, admiring the honey colored sandstone buildings, and sampling the fare in the local market. The medieval town is famous for not only the charm of its pedestrian friendly main square, but its food offerings as well. 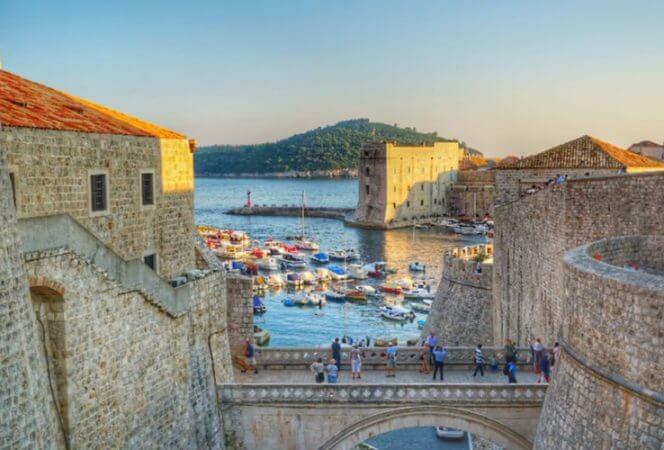 Be sure to stop by the market or a local shop where visitors are encouraged to sample the foie gras, truffles, and walnuts that make this region famous. Better yet, find a cafe in the main square and enjoy a crepe filled with one of these delicious regional specialties. Magnifique! The town in Sarlat is built for wandering…and playing on the golden geese! 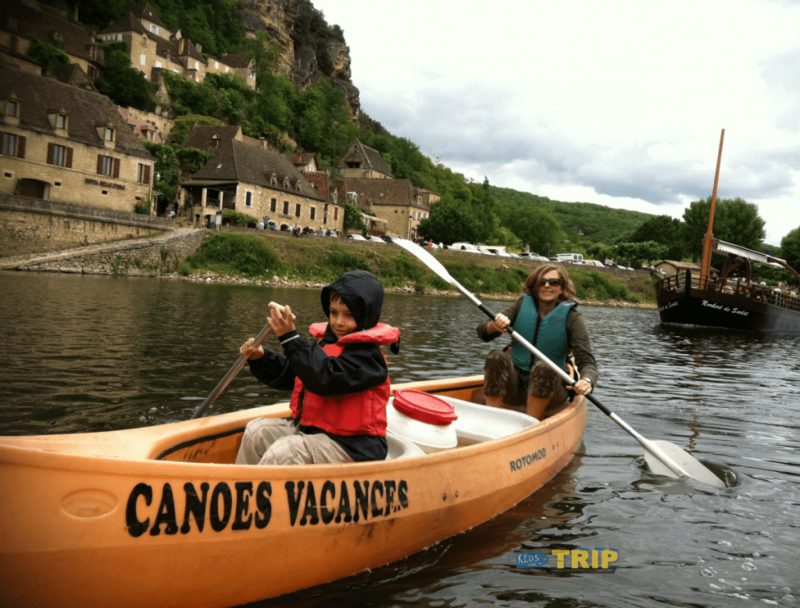 For my husband, canoeing the Dordogne river was the one thing he wanted to experience while we were on vacation (thanks to a Rick Steves recommendation). There are several companies located near the town of La Roque Gageac, so we just followed the signs to the nearest one. Children can ride in the canoe, everyone has life jackets and an oar, and it is a simple, slow trip down the river. The trip is slow going (at some points I could have walked faster than our boat) and the water is fairly shallow (I don’t think it was ever more than four feet deep). For me, this was BORING. The kids and husband LOVED it. I will say this, the scenery was gorgeous as you drift past the villages of Beynac and La Roque Gageac and see the chateaus of Castelnaud and Beynac high above the water. However, next time I would opt for the gabare (the boat behind me in the picture below) which makes a one hour river cruise. Same scenery, and a lot less work. The Chateau de Beynac dominates the region from its towering perch overlooking the Dordogne river, villages, and countryside below. The town of Beynac-et-Cazenac is at the base of the chateau and while it does have a few restaurants and shops, the castle is the main attraction. Dating to the 12th century, the castle figured prominently in the Hundred Years War changing hands from France to England and then back to France again. The rooms are decorated with giant tapestries or frescoes, others with swords and daggers, but all of the rooms reflect different time periods throughout the history of the castle. Our kids loved exploring so much, we basically had to run to keep up with them as they dashed excitedly from one room to the next. This is definitely a castle not to be missed. We were fortunate to discover favorite castles in Europe HERE, a bed and breakfast that also offers self-catering accommodation. Centrally located in St. Cyprien, close to all of the aforementioned sights, this stunning accommodation has won Trip Advisor’s Certificate of Excellence every year since opening. Upon arrival we were warmly greeted by our hostess Sara, who immediately welcomed us and made us feel at home. We rented a self-catering cottage on the property, but there is also the option of staying in one of the bed and breakfast rooms. Next to our place was a toy room, filled floor to ceiling with toys, movies, and games for children of all ages. 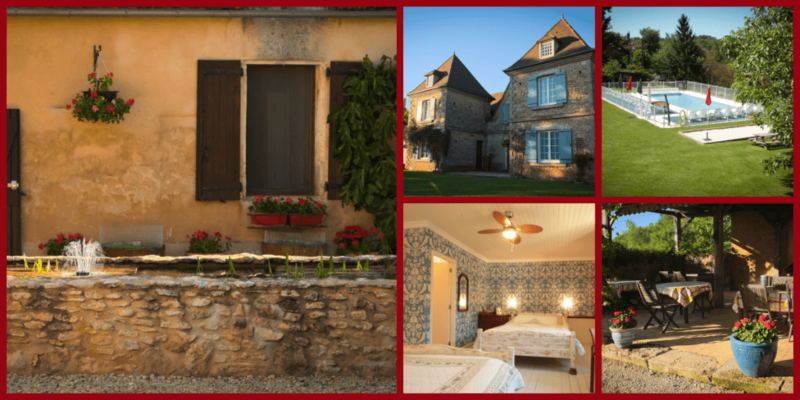 We stayed in the two bedroom Passiflore gite which was perfect for our family of five. A mix of traditional charm and modern comfort, the unit has a kitchen and dining area, as well as a private terrace. The terrace was perfect for relaxing and watching our children playing in the yard while we enjoyed dinner or a glass of wine. If you don’t feel like cooking, we would highly recommend the meals prepared by Sara’s husband, Ian, who happens to be a chef. Using locally sourced produce, the dinners consist of four courses served in the beautiful courtyard (when the weather is beautiful) or inside when the weather doesn’t cooperate. Not only is it a wonderful opportunity to experience the flavors of the region, it is a fabulous way to meet guests from around the world. You can also borrow a baby monitor and dine knowing your little ones are safe and sound just steps away. This was our favorite meal during a two week stay in France! The property has a heated swimming pool with a safety fence, swings, bicycles, and a large grass play area, all of which we could see from our patio. Our kids truly enjoyed playing with Sara and Ian’s lovely children and still talk about the fun they had during our visit. We left the property feeling we were leaving behind our new friends and we can’t wait to return again! If you are looking for more information about exploring the Dordogne River Valley, why not check out Auto Europe’s Road Trip guide?